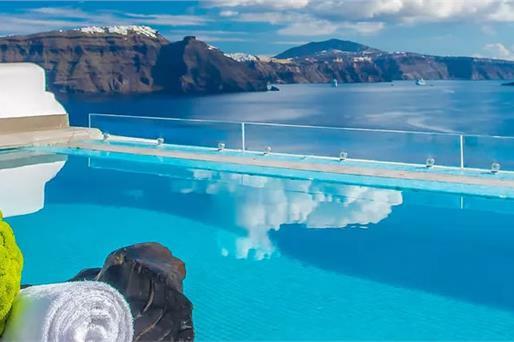 This 5-star hotel, with its traditional architecture and its multi-levelled terraces, perches from the cliff, overlooking the blue waters of the Aegean Sea and the dramatic volcano island. 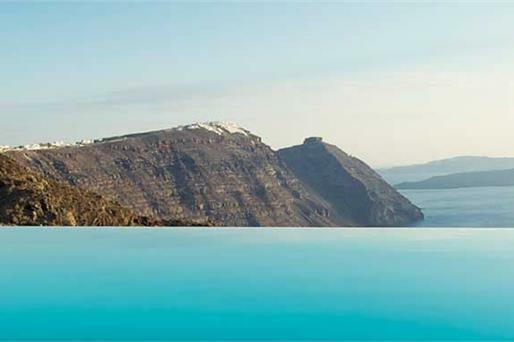 The recently refurbished Kirini Santorini features additional luxury amenities, such as the new Spa and the pool area with not only lounges with sea view, but relaxing facilities carved into the cliff. The recently redecorated suites offer a serene atmosphere, wooden floors, fluffy beds and luxury bath amenities. 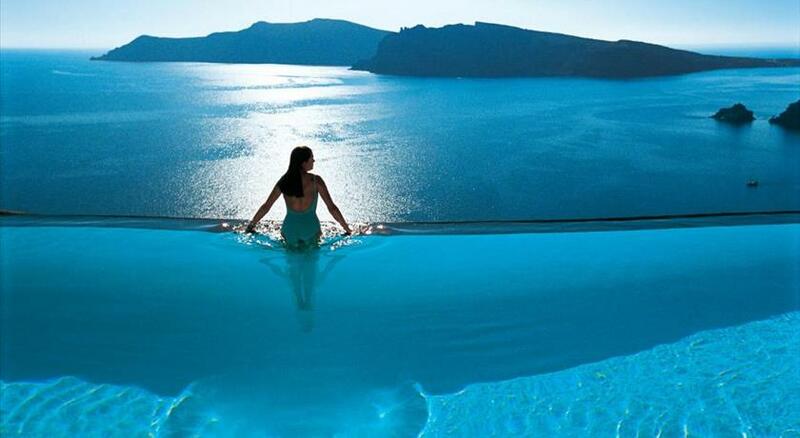 From every suite’s veranda, the views to the water-filled Caldera are mesmerizing. 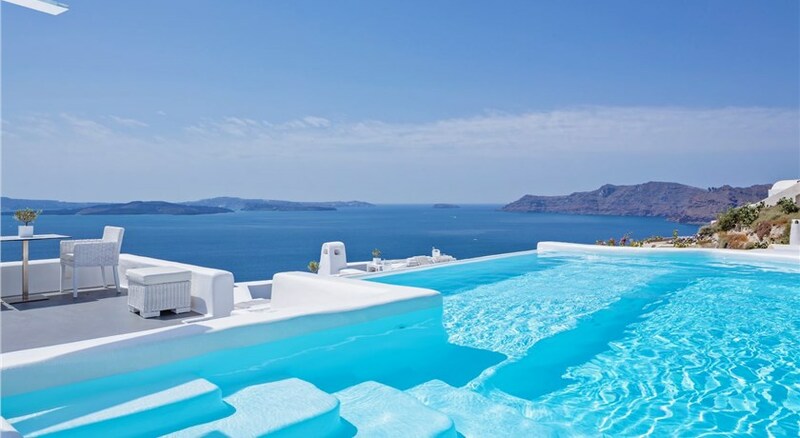 Each suite has air conditioning, satellite TV, direct dial phone, safety deposit box, minibar, hair dryer, bathrobes, feather-filled pillows and luxurious bath amenities. 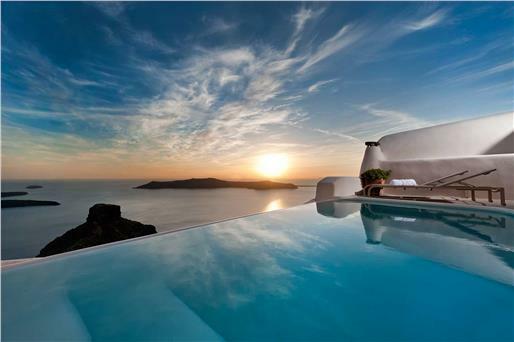 Kirini is located in Oia , just a short 15 minutes walk to the panoramic promenade. 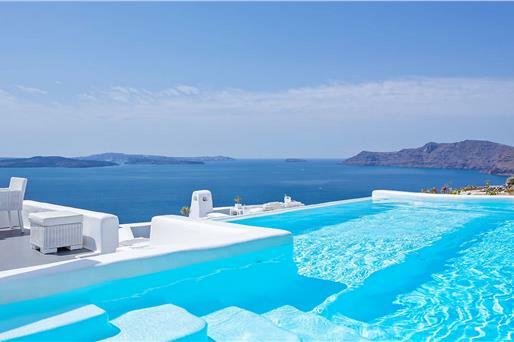 It is 30 minutes by car from the Santorini International Airport and the Athinios Port. 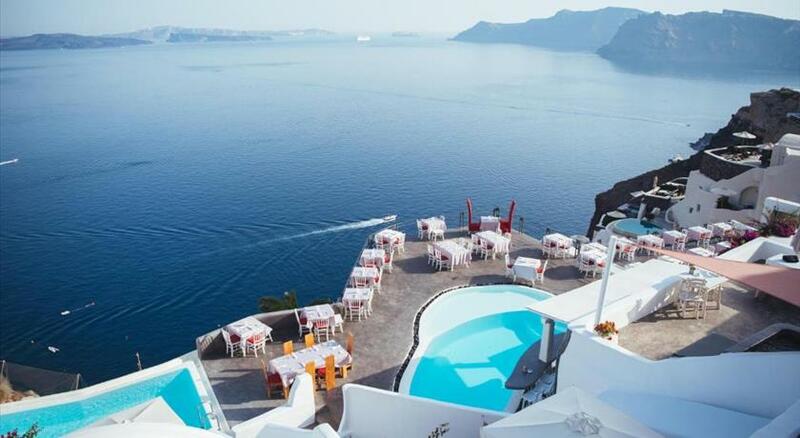 Taken from a drone fly over that shows the hotel from above. 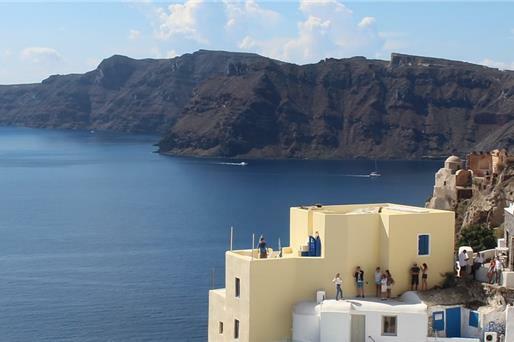 Kirini Suites & Spa is located in Oia's caldera. Children older than 13 years are welcome. One child or adult is charged EUR 120 per person per night in an extra bed. The maximum number of extra beds in a room is 1. There is no capacity for cots in the room. 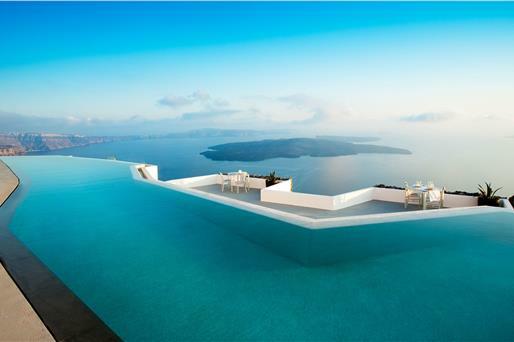 Kindly note that for group reservations of more than 5 rooms, different policies and additional supplements may apply.